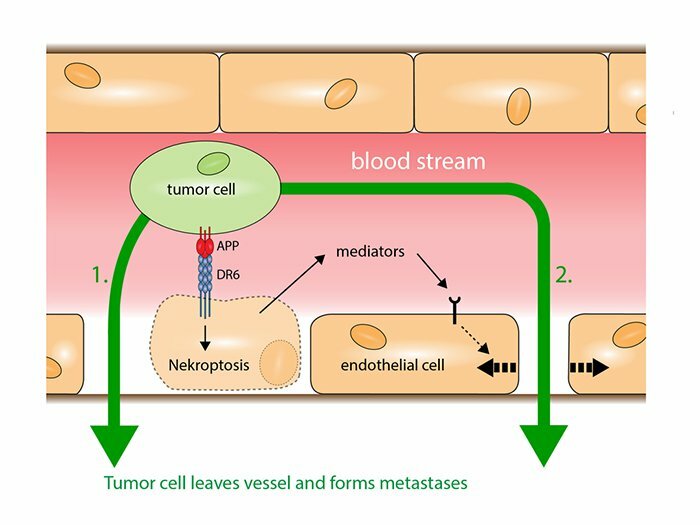 To break through the walls of blood vessels, cancer cells target the body’sendothelial cells, which line the interior surface of blood and lymphatic vessels. They do this via a process known as necroptosis – or ‘programmed cell death’ – which is prompted by cellular damage. “If tumour cells can spread by continuous migration along the surfaces of blood vessels and other anatomical structures such as nerves, they now have an escape route outside the bloodstream,” explained researcher Laurent Bentolilafrom UCLA.